The abuse of methamphetamine—a potent and highly addictive stimulant—remains an extremely serious problem in the United States. 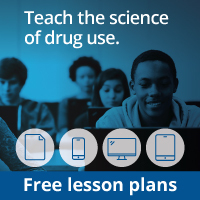 According to data from the 2012 National Survey on Drug Use and Health (NSDUH), over 12 million people (4.7 percent of the population) have tried methamphetamine at least once. NSDUH also reports that approximately 1.2 million people used methamphetamine in the year leading up to the survey. The consequences of methamphetamine abuse are terrible for the individual––psychologically, medically, and socially. Abusing the drug can cause memory loss, aggression, psychotic behavior, damage to the cardiovascular system, malnutrition, and severe dental problems. Methamphetamine abuse has also been shown to contribute to increased transmission of infectious diseases, such as hepatitis and HIV/AIDS. Beyond its devastating effects on individual health, methamphetamine abuse threatens whole communities, causing new waves of crime, unemployment, child neglect or abuse, and other social ills. A 2009 report from the RAND Corporation noted that methamphetamine abuse cost the Nation approximately $23.4 billion in 2005. But the good news is that methamphetamine abuse can be prevented and addiction to the drug can be treated. People can and do recover over time if they have ready access to effective treatments that address the multitude of problems resulting from their abuse of methamphetamine. The primary goals of the National Institute on Drug Abuse (NIDA) are to apply what our scientists learn from drug abuse research to develop new treatment approaches and enhance existing ones, and to bring these effective treatments to the communities that need them. 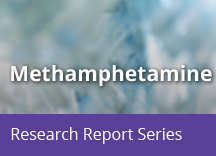 In this newly updated Research Report, we provide an overview of the latest scientific information on methamphetamine. Our intent is to illustrate for readers the damaging effects of methamphetamine abuse and to inform them about effective prevention and treatment interventions.